Web News System: How Do You Rate as a Husband or Wife of the 1930s? 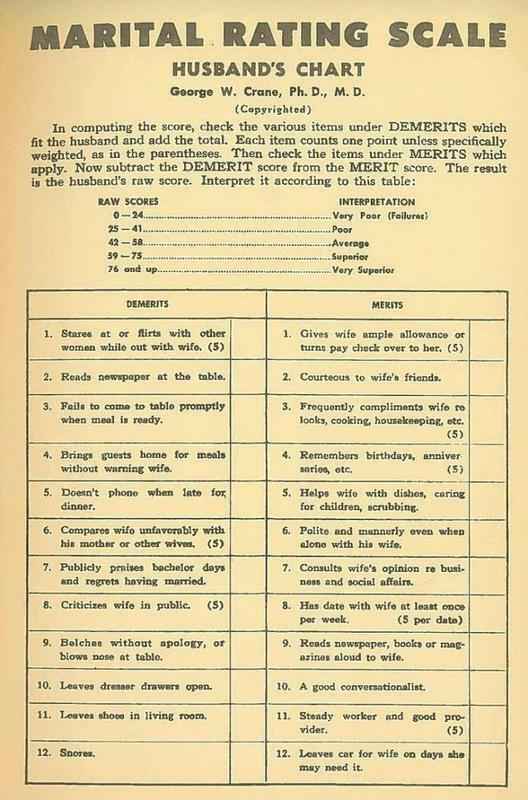 How Do You Rate as a Husband or Wife of the 1930s? 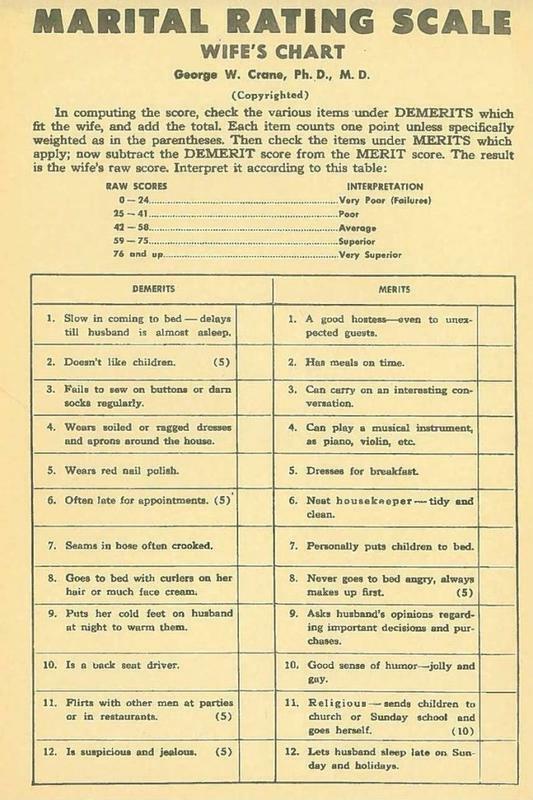 This Marital Rating Scale was developed in 1939 by George W. Crane, Ph.D and M.D. of Northwestern University. The scale was divided into two columns, one for the positive characteristics and the other for the negatives. He stated out features of a good wife/husband with a single list of bullet-points for each partner. Today, this may seem bizarre or even unacceptable. But sheesh, just check it out and have a good laugh.